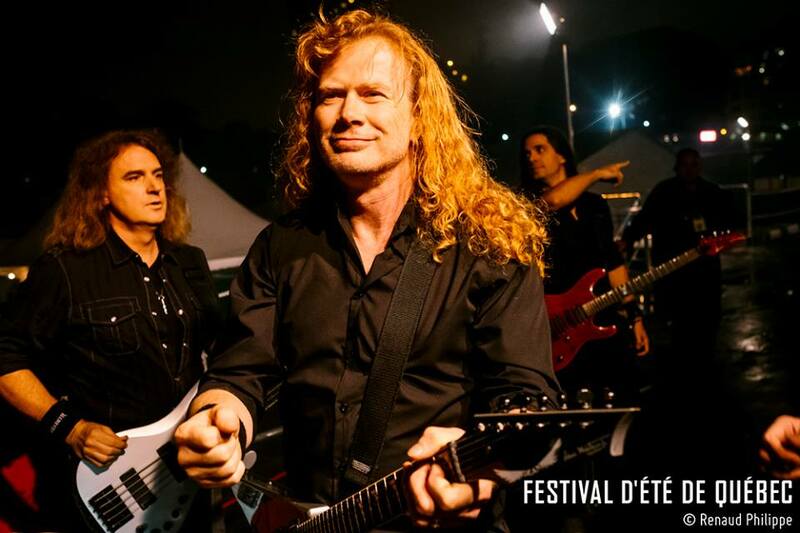 Megadeth debuted their new lineup during a performance at the Festival D'été De Québec in Quebec City on Saturday. The Quebec City Summer Festival is an annual 11-day music event held in the city’s downtown during the month of July. Led by Mustaine and longtime bassist David Ellefson, the group also features new guitarist Kiko Loureiro and studio drummer Chris Adler from Lamb Of God. “Thank you for an amazing show tonight Quebec City!! !,” posted Ellefson after the event. Megadeth recently announced a fall co-headlining UK tour with Lamb Of God that will coincide with the release of their 15th studio album, while Lamb Of God will issue their latest, “VII: Sturm und Drang”, on July 24. The 5-date fall run will see Adler performing double-duty with both acts as the longtime Lamb Of God player is also the current studio drummer for Megadeth.